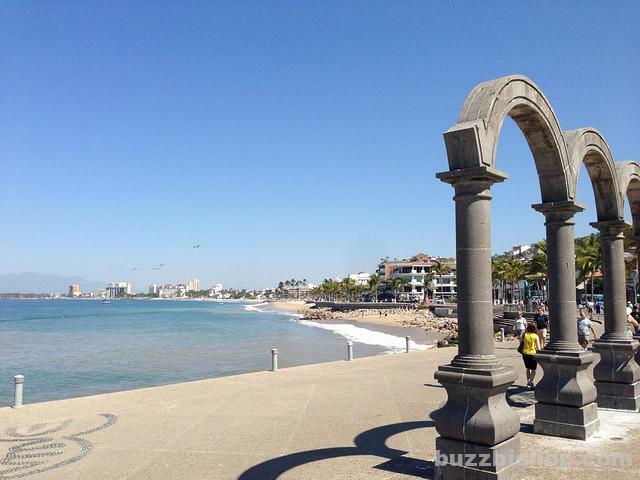 [twitter]A walk on El Malecon in Puerto Vallarta is wonderful. Not only is it a beautiful boardwalk on the Bay of Banderas with diving pelicans and a sun soaked surf crashing the shore, but there is art. Lots of art. 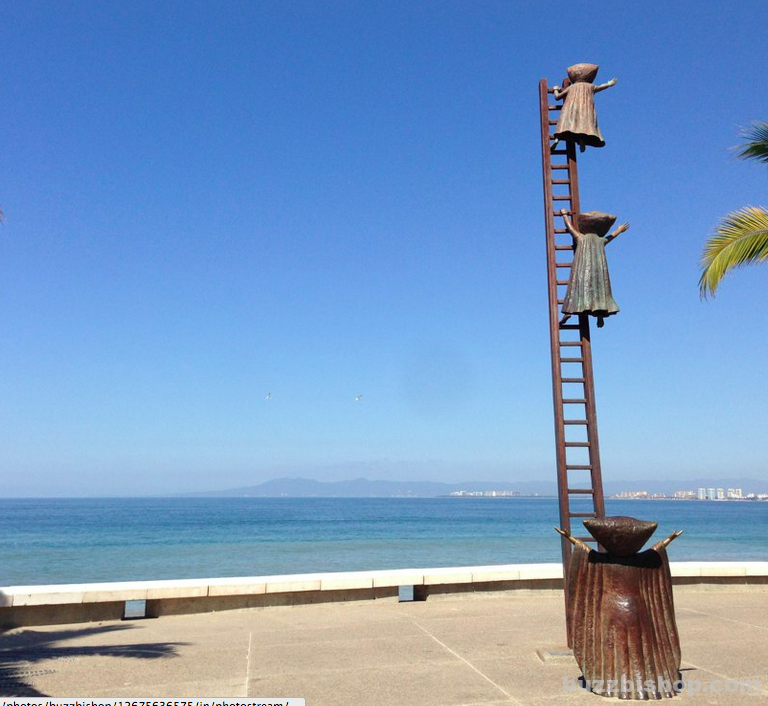 At the end of each E-W street along El Malecon, you’ll find a wonderful piece of art. 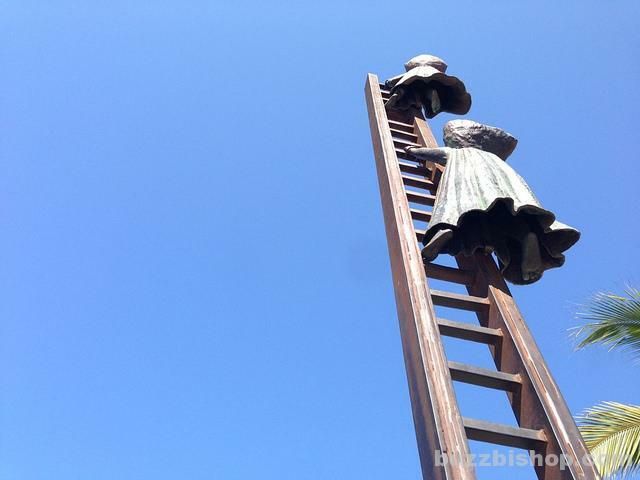 There’s 10 sculptures on El Malecon over the mile or so that you can wander in what becomes a wonderful outdoor art gallery. 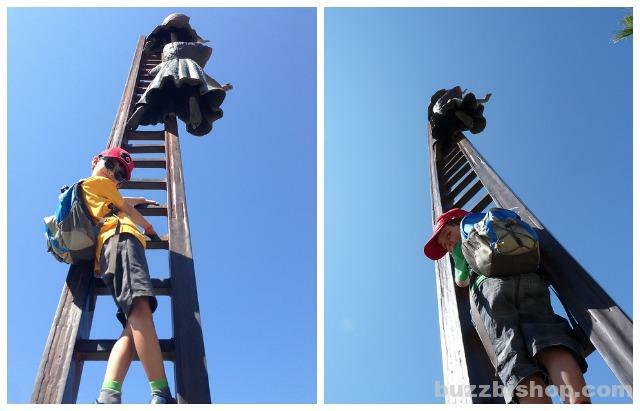 Our favorite is a sculpture by Mexican artist Sergio Bustamante called “En Busca de la Razón.” Giant pillow headed creatures are climbing a ladder while being by yelled at from below. 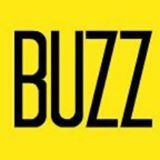 It is said to examine how people search for answers “while striving farther and above the normal limits of humanity.” It’s very inviting, and people are encouraged to (carefully) climb the ladders with the figures. “La Fuente de la Amistad” is by James “Bud” Bottoms with Octavio Gonzalez Gutierrez. 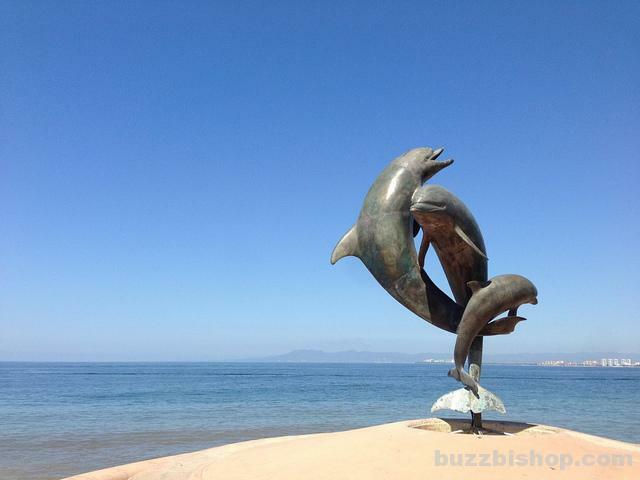 Bottoms is from Santa Barbara, Puerto Vallarta’s sister city, and the three leaping dolphin fountain is said to have been inspired by a Chumash Indian legend. 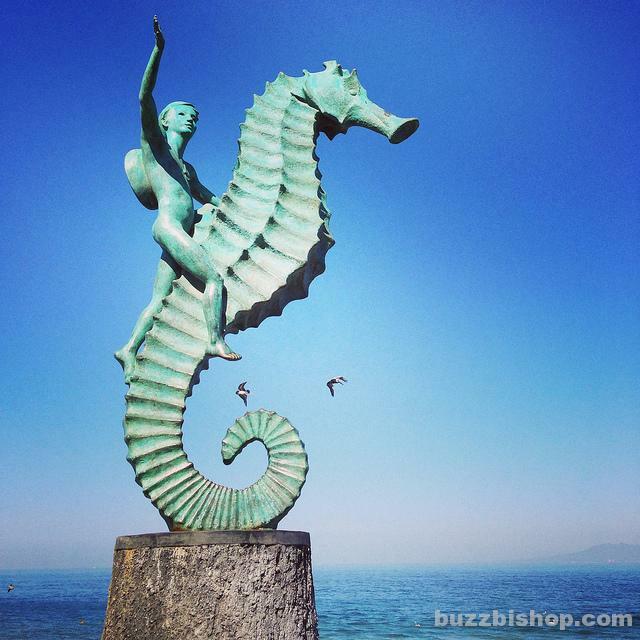 This statue has become symbolic of Puerto Vallarta. The 3 metre bronze replica of “El Niño sobre el Caballo de Mar” from Rafael Zamarripa was originally on a group of rocks called “Las Pilitas” at the end of Los Muertos Beach. The ocean and wind and waves knocked it down and, in 1976, the artist was asked to produce a new version. The new boy now stands by the old lighthouse. 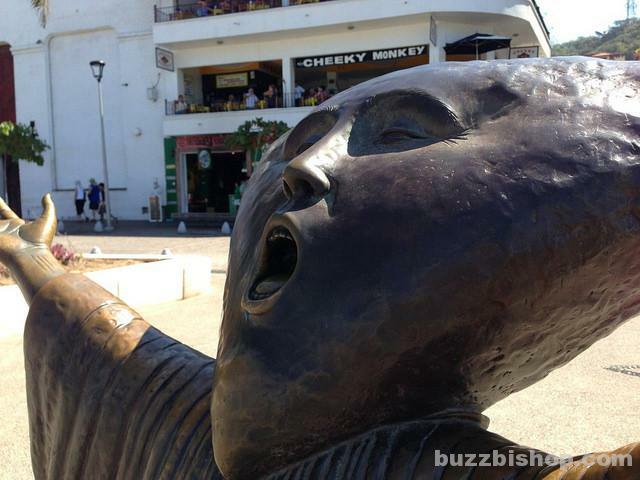 One of the best parts about walking and seeing the sculptures on El Malecon in Puerto Vallarta is they are interactive. Going to an art gallery can be boring for kids. 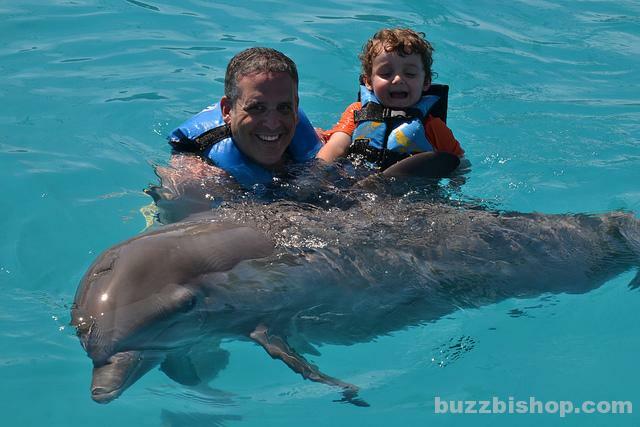 There are no “don’t touch” signs here, you can sit, stare, climb, and touch everything. 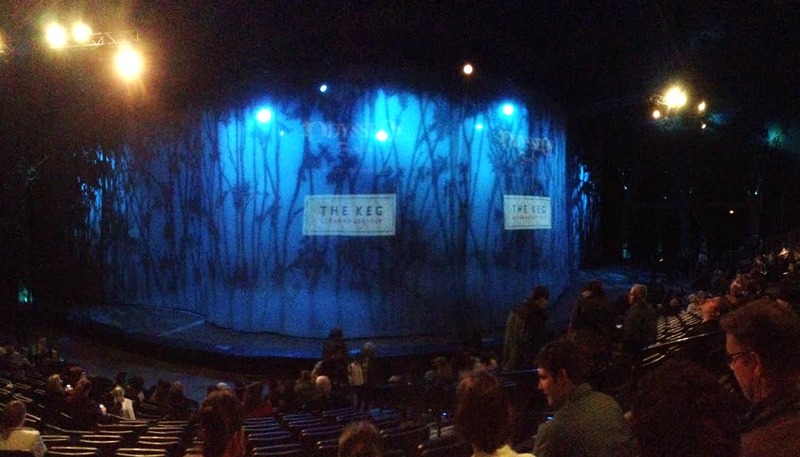 “La Rotonda del Mar” from Alejandro Colunga is one of the best with a collection of strange chairs and tall, odd, mystical creatures that children can wander around, climb on, and explore. Also known as Neptune and the Nereid or Poseidon and the Nereid, this work from Carlos Espino is a popular story to be embraced by sculptors. Rodin, for example, has a work of the same name. This piece by features the merman son of Poseidon reaching out of the water to a sea nymph. Triton and Nereid are also the names of moons orbiting the planet Neptune. 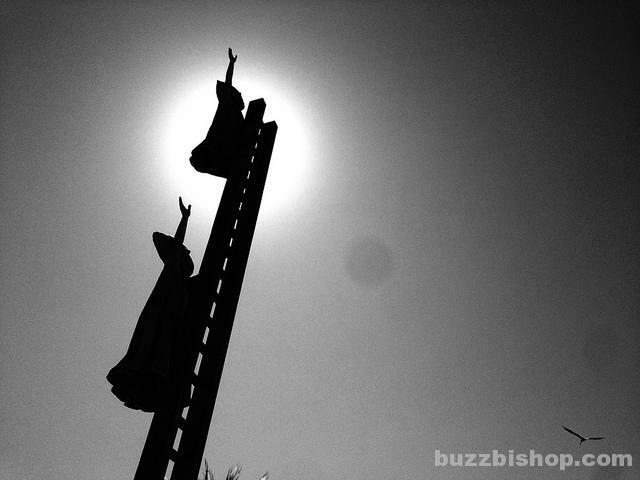 You can tell which sculptures on El Malecon are the most popular by how they’ve been worn. This bronze has been stroked and sat on across the legs and laps. The work from Ramiz Barquet features a couple sitting close together. It’s a very romantic work that has been a mainstay on the malecon and is a favorite of tourists and locals alike as a monument to enduring love. Fittingly, the piece is dedicated to the artist’s wife.